Members of the Aerospace Safety Advisory Panel (ASAP) have echoed Shuttle workforce concerns from Space Shuttle Program (SSP) manager John Shannon about prolonging the current uncertainty about the status of the proposed STS-135 mission. Lawmakers authorized NASA to fly Atlantis’ mission, though it continues to lack the appropriation of funding. The ASAP met at the Johnson Space Center (JSC) last week for its fourth quarterly meeting of the year, and in a public meeting at the end of the visit summarized their agenda, which included a review of current evaluations for STS-135. The proposed STS-135 mission is currently in legislative limbo between authorization and appropriations. Congress passed bill S.3729, the National Aeronautics and Space Administration Authorization Act of 2010, at the end of September. The bill was signed by President Obama on October 11, becoming Public Law 111-267. While the authorization act authorizes NASA to fly the STS-135 mission no earlier than June 1, 2011, fiscal year 2011 appropriations to fund that mandate are still forthcoming. 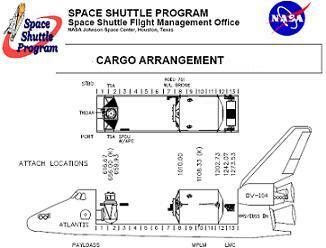 The Space Shuttle Program cannot proceed much further with plans to fly STS-135 in the current situation. Congress has not passed appropriations for most federal government agencies and faced with the beginning of the fiscal year on October 1 and the need to avoid a government “shutdown,” passed a short-term Continuing Resolution (CR) instead, shortly after voting on the NASA authorization bill. The CR funds the federal government through December 3, and when the current Congress returns to Washington in the middle of November members are expected to consider an omnibus FY 2011 appropriations bill. In the meantime, the Shuttle program continues to prepare for the possibility that the STS-134 mission could be the last one. Shortly following the last Shuttle mission, a substantial layoff of most of the remaining Shuttle operations workforce will occur; however, given the significant possibility that the workforce will be needed to fly STS-135, workers could be faced with an unusual set of circumstances. The Worker Adjustment and Retraining Notification (WARN) Act requires that certain employers (including NASA contractors, such as United Space Alliance) provide notice to workers 60 days in advance of a large number of layoffs. At the ASAP’s public meeting last Friday, members noted that in the current situation, WARN act notices would be issued in January to the Shuttle workforce, since under current law STS-134 – scheduled to launch at the end of February – is the last mission. 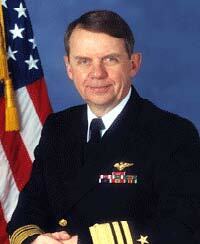 Vice Admiral Joe Dyer, chairman of the panel, also noted that delayed action from Washington on STS-135, which the ASAP believes can be flown successfully, could lead to a situation where the workforce would receive the layoff notice first and then be told about the extra flight – remarks which echoed those made by Mr. Shannon. “The downside to all that, or the thing to really think about is the people; I had said before that if we launch our last flight in February, that we’re going to have a big layoff in the middle of March,” noted the SSP manager. “By law, you have to provide a 60-day notice to those folks that they’re going to get laid off and that would end up being sometime around the middle of January that those notices would go out. At the Program Overview preflight briefing, both Mr. Shannon and Dan Hartman, manager of International Space Station (ISS) Operations and Integration, also emphasized the benefit flying STS-135 would provide to near-term ISS logistics. “We have to point out how important that flight is to International Space Station. From a logistics standpoint, I think that 2012 is going to be a real challenge for them,” Mr Shannon said, while Mr Hartman noted that the ISS program is discussing what to fly on that mission.